Falling into a large sum of money, no matter the circumstance is grounds for a litany of financial mistakes. There are many things which contribute to blowing a bunch of money all at once. First, and most likely, someone important to you has passed away. The emotional stress of losing a loved one can blind us to the way we’re handling our money and spending our time. Second, many people haven’t had a boatload of money dropped on them all at once before. It’s important to learn how to invest an inheritance. In the scheme of things, this is going to be the best thing you can do with it. Before we talk about what you should do, let’s talk about what you most definitely should not do. Here are a few of the most common mistakes people make when they find themselves with sudden windfalls. The little things tend to add up when you don’t have to pinch pennies. 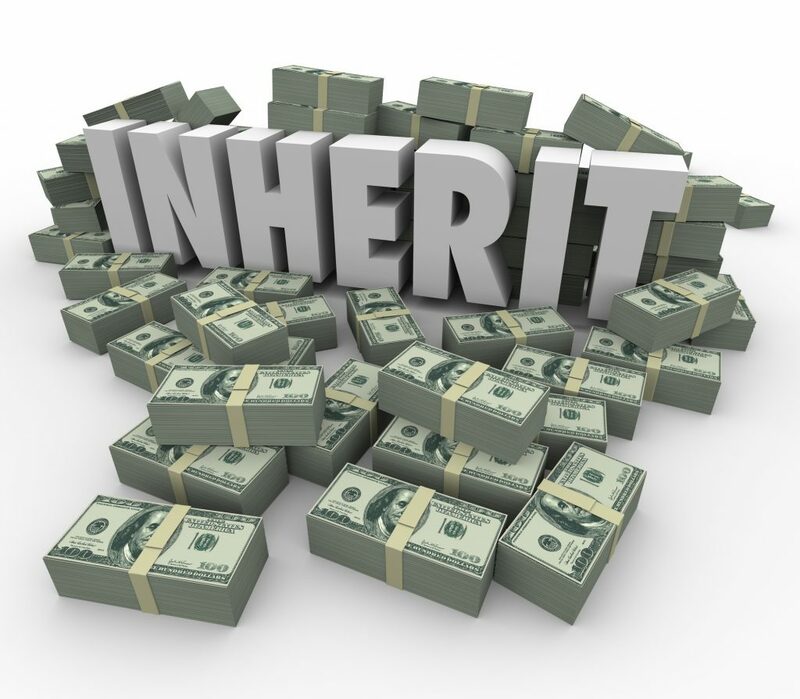 If you ran a tight ship before the inheritance, don’t take it as a chance to stop that behavior. Eating out, buying electronics, paying for friends, and going out excessively are just a few of the things to watch out for. This is especially true when doing those things for a few months will only lightly dent the number in your bank account. It may seem unimportant, but it’s essential that you don’t make this behavior normal. Sure, you could afford to buy a 2019 vehicle off the lot, but should you do it? The thing about people who have earned a large amount of money, maybe even the person who willed you the inheritance, is they don’t spend a lot. There may be some things in your life which could use touching up. Maybe your car needs a new front end, your deck could use a new coat of paint, or that basement could go for some insulation, but you don’t need three jet skis. You don’t need spinning rims and golden basketball hoops. A perfect example of this is the overwhelming number of people who say that winning the lottery was the worst thing that ever happened to them. People are given millions of dollars and the behavior that follows effectively destroys relationships and lives. Friends and relatives will come out of the woodwork when they know you have a newfound nest egg. While it’s understandable to go to loved ones if you need money, don’t be overly giving with the money you inherit. This might sound a little cold. The thing is if the person asking for money didn’t have the need for it before you inherited it, they don’t need it now. if you can identify a distinct need to give a person money, go with your gut. At the same time, set up an established plan to receive payment. Hold them accountable if you lend money, and make sure you’re firm with the terms. Borrowing money from friends and relatives is dangerous because it feels like repayment can be loose. Over time, the late payments and avoidance could do serious damage to your relationships. The best thing to do with your inheritance is to invest the vast majority of it. While a little extra spending on the front end is to be expected, cutting out that behavior and making long-term financial decisions is going to set you up for comfort in the future. There are a lot of ways to invest money, though. Don’t jump into an investment unless you’re sure of its credibility and outcome. Investments are risky, but some are less risky than others. There is a lot of opportunities to invest in stocks. Some are low-risk, while others are high. The thing is, you don’t need a high-risk investment to make a lot of money. It’s likely your cost of living was not extremely high before you inherited the money. If you can plan to live at the same cost as you originally did, it’s not unlikely that your investment could have returns equaling your yearly pay. If you inherited one-million dollars, for example, you might be able to do this. Finding a relatively low-risk investment at 6% interest would yield $60,000 a year for you to live off. If you could live off of less than that, your inheritance could grow over decades and double a few times over. One million dollars now could turn into five million dollars later. That’s money that can be passed down to your children, fund their college degrees, pay off any debts you may have, and set up your loved ones for a comfortable life. The value of that is much higher than the thrill of buying a few sports cars, houses, or devices that will only satisfy you for a short time. There are a lot of ways to invest in real estate. You could do it the old fashioned way and buy a home to fix up and sell. That’s a labor of love, and maybe you have the time to work on a house now that you’re financially stable. Research areas to buy in and try to find ones showing signs of economic development. You could do the work to fix it up yourself, or you could hire it out to contractors. Either way, it’s going to be a large workload. If you’re not looking to do DIY, real estate investment groups are great options. These are groups that will acquire property for you, market it, and find tenants to live in. Learn more about investment groups to see if they’d be a good fit for you. If you’re curious about how to invest an inheritance, you’re probably curious about a lot of other financial things. There’s nothing wrong with that, and we’re here to help. Visit our site to learn more about your finances and how you can make the most of them.